Save £400 on Arcam and Award-winning Revel speakers bundle for Black Friday | What Hi-Fi? For Black Friday, several hi-fi retailers – including Richer Sounds and Superfi – are offering a £400 saving on an Arcam and Revel hi-fi system bundle. The deal includes Arcam’s CDS50 CD/music streamer and four-star SA10 integrated amplifier with the Award-winning Revel Concerta2 M16 speakers - all for £1999, down from £2397. That means that for just under £2000 you can buy an entire system with CD playback and network music streaming. The deal is valid online (see below) and from participating retailer dealerships now until the end of the year. We haven’t reviewed the Arcam’s CDS50 CD/music streamer (which Arcam calls its ‘most advanced cd, digital audio and network streaming player yet’), but we can wholly vouch for two-thirds of the system. The Arcam SA10 integrated amplifier impressed us with its full-bodied presentation and marvellously rich sound, as well as its exhaustive, price-belying connectivity list. It boasts five analogue inputs (including one for a turntable hook-up), and one optical and two SPDIF inputs. 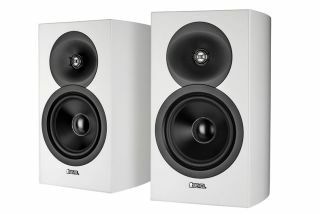 As for the Revel speakers, they’ve been our favourite sub-£1000 standmounts for three years now for their unrivalled sonic insight. The M16s are a bundle of fun, complementing strong dynamics and authoritative bass with a character that’s rhythmic and punchy. Into vinyl, CD and streaming and looking to build a decent system from scratch? This looks a good place to start to us. And you've got some time to save the pennies - the deal is valid until the end of the year.